You are designing a kitchen and have decided on a professional range. So you look in your local store at two identical looking products, yet one is $1,500-2,500 higher than its twin. You are comparing an all gas versus a dual fuel stove. This article will answer why you might or might not want to pay the premium. Then we will look at the best dual fuel pro ranges. Dual-fuel ranges offer the best of both worlds, gas burners on the cooking surface and an electric powered oven. The benefit of cooking with gas is a high heat and controllability. It is easy to see the flame increase on a gas cooking surface to achieve a higher heat, and a low flame to achieve simmer. You buy a dual-fuel range for its electric oven and ability to cook more evenly. Temperature control – With any oven, there is a heating coil which cycles on and off. The frequency to which it cycles on and off depends on the temperature you set it to. For example, a higher temperature will cycle the heating element on and off more frequently than a lower temperature. The oven tries really hard to match the temperature you set it to, but it is not always accurate. 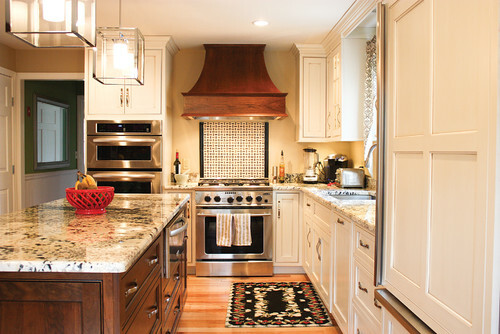 Generally speaking, electric ovens have more accurate temperature control than gas ovens. Temperature Probe – some high-end ranges come with a temperature probe that lets you know when your food has reached an ideal temperature. Generally speaking, many of the dual fuel ranges offer a temperature probe whereas most all-gas ranges do not offer this feature. True Convection – all professional-style ovens offer convection. Convection is a term that refers to an oven with a fan that moves air throughout the oven for more consistent temperature throughout the oven cavity. Most brands offer true convection. True convection (also known as European convection) is the best type of convection because there is a heating element located behind the convection fan. This system draws air toward the heating element behind the convection fan to heat it to the desired temperature. The convection fan will redistribute the newly heated air throughout the oven cavity. Self-Cleaning – Although many affordable luxury ranges today offer self-cleaning, many pro-style ranges do not offer self-cleaning. In many brands such as Wolf and Thermador, you can only get a self-cleaning mode on a dual-fuel range. Controls – In brands such as Wolf and Miele, the controls are more robust than the all gas versions. The Miele GUI based controls with automatic programs for every meat is especially noteworthy. Price is the biggest deterring factor for many customers. Keep in mind that a dual fuel range will be more expensive than the all-gas version. Jenn-Air is the premium brand owned by the Whirlpool Corporation (one of the largest appliance companies in the world). Jenn-Air makes a great professional range, I really like the 20,000 BTU high output burner. Jenn-Air typically has the best pricing and promotions. Viking is an American brand, well known for their professional-ranges. This range is a contender with the others in terms of aesthetics and price. From a features standpoint, it's average. In recent history the quality of this brand has waned due to many changes in ownership. I love the look of the Viking products and I hope new owner Middleby will be able to restore the quality of this brand. To be entirely transparent we no longer sell any Viking products. Wolf is another American appliance brand. Today the Wolf brand is owned by Sub-Zero. I really like the fit and finish of Wolf ranges. I also really like the simmering capability, and the fact that the oven control panel will pop forward to you can easily access it. Thermador is a high-end appliance brand owned by the BSH Corporation. Thermador is a brand mostly known for their cooking products. I really like the star-shaped burner on the Thermador ranges and the fact that every burner has a wide temperature range, and has the most pan coverage. Miele is a German appliance company known for manufacturing high quality dishwashers, cooking, and laundry. They are one of the most vertically integrated appliance brands out there. I am really excited to see Miele marketing a professional-style range. This range is feature loaded with steam, a menu-driven oven control panel, and wireless roast probe. 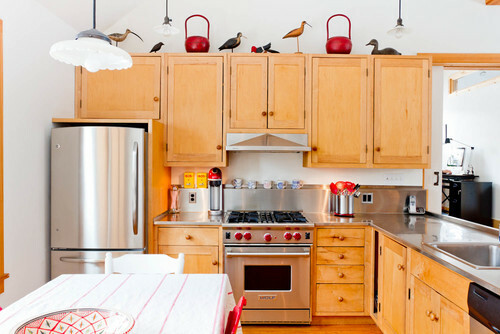 If you love to cook, this range should certainly be a consideration. What will you use? If you are boiling often then Miele, Jenn-Air and Thermador are the best bet. With the simmer, I like Thermador and Wolf. If you love to bake, roast and broil, then Miele, Jenn-Air and Wolf are the best with the more even twin convection. The most reliable range is Thermador followed closely by Wolf and then Jenn-Air. Miele is the most reliable brand, but this is a new category for them. All are good choices for different reasons. You might also want to look at the all gas models with twin convection as well for less money. 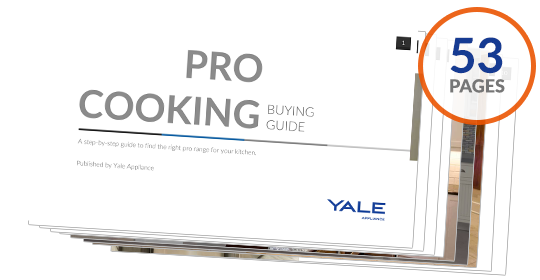 Get our free Pro Cooking Buying Guide for tips, trends and reviews of all the best brands. Over 80,000 people have already found answers in a Yale guide.